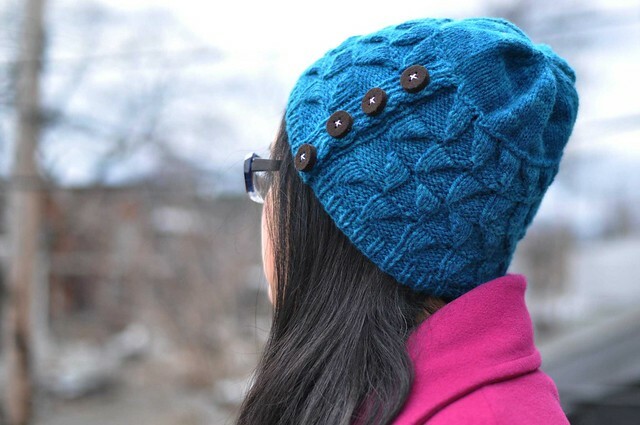 Now that gift-giving season is over I can share some knits from last month! 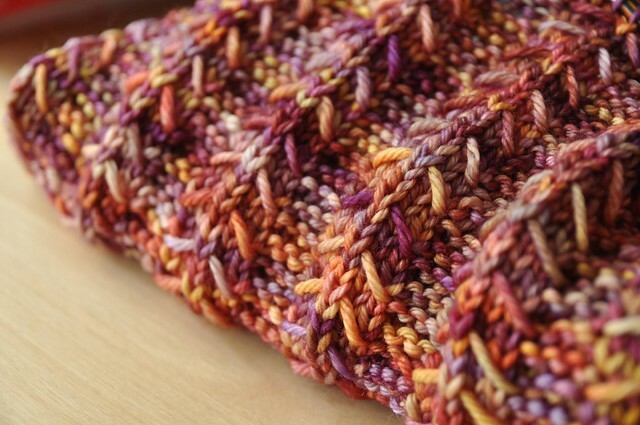 This cowl started off as a skein of super pretty Malabrigo Rios in Archangel. So pretty, and so, so soft. 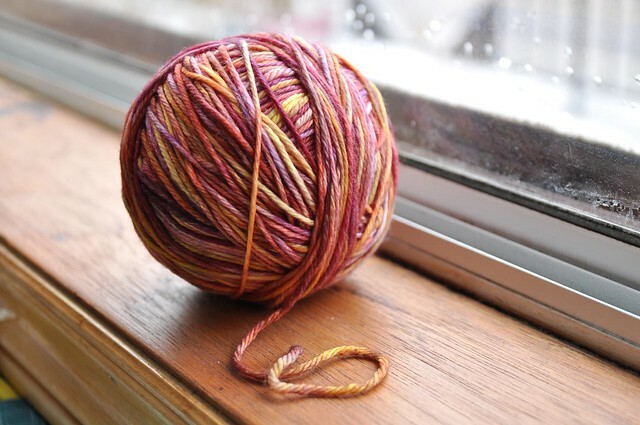 Rios is perfect for the wool-picky people in your life. 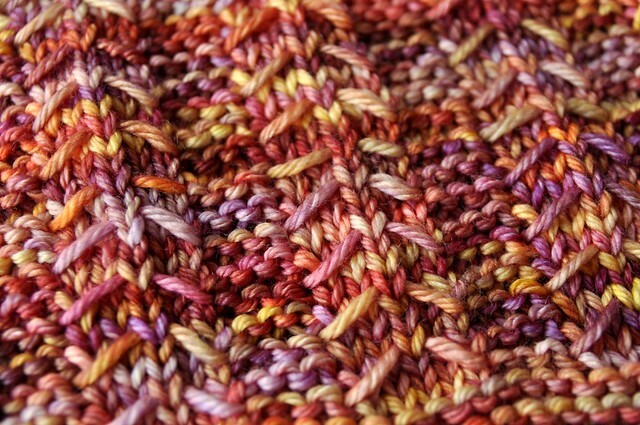 I picked a pretty stitch pattern (Little Tent from Barbara Walker #1), cast on, and knit like the wind. It worked up in a day! Okay, one evening and then the next day. It was terribly satisfying to knit. I even had time to take some photos before wrapping it up to give to one of my sisters for Christmas. I think she liked it! Finished dimensions were about 21″ around and 11″ deep. No pattern for this one, because there’s another on Ravelry that is pretty much exactly the same and I don’t want to step on anyone’s toes. All in all, a nice successful knit. 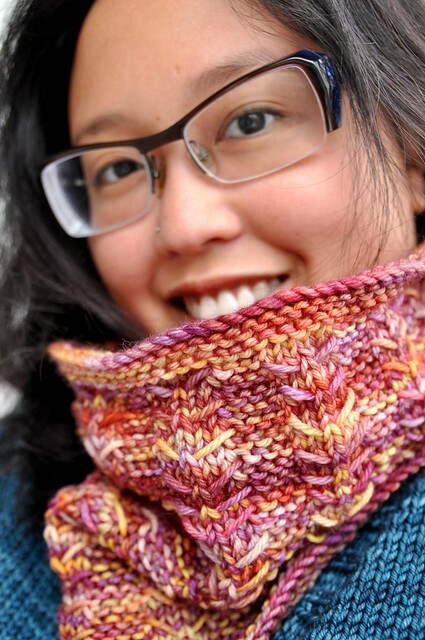 Both the yarn and cowl are lovely but I have to also say, my God, your skin is gorgeous! I love reading your blog. 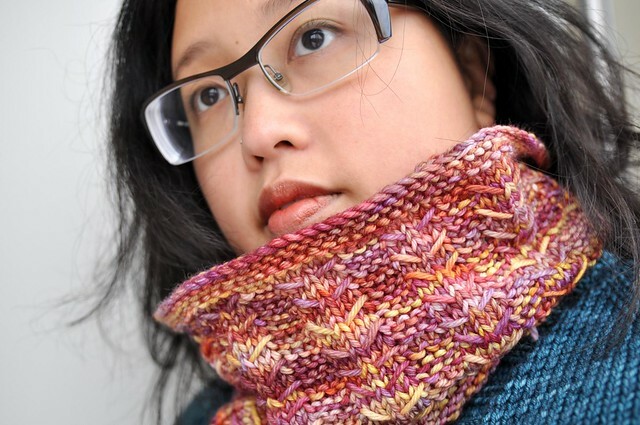 Such a pretty cowl Laura! 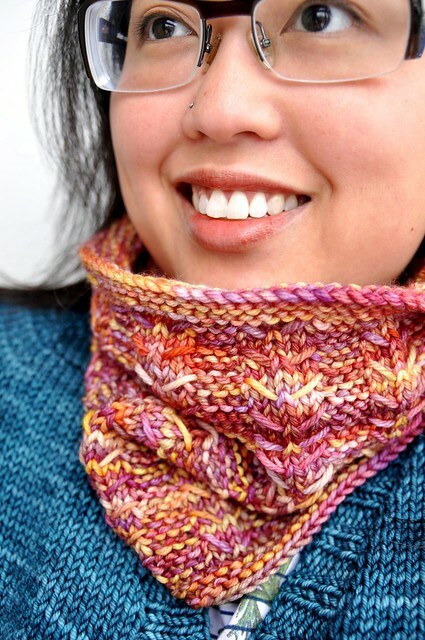 Love this cowl in Rios. How many stitches did you cast on? I know the pattern, but knitted it in bulky weight.